Diamond Dental | #2: Why are my gums sore after a cleaning? 29 Mar #2: Why are my gums sore after a cleaning? One of the reasons it is recommended that you visit the dentist every six months is for a cleaning and to reduce sore gums. The dental hygienist is specifically trained to provide you with a thorough cleaning of your teeth. The hygienist uses special equipment to get to all the areas of your teeth that your toothbrush and floss struggles to reach and clean. Dental care at home is also important for your overall oral health. One part of the hygienist job is to clean the tartar from your teeth. Tartar is an accumulation of plaque on your teeth close to your gum line. A great tooth cleaning includes scraping this build up from your teeth. Because, the hygienist has to work so close to your gum line it may result in your gums feeling sore after the cleaning. A good hygienist will be very gentle with this process. However, if it has been more than six months since your last professional teeth cleaning it is more likely that your gums will be sore. This is because of the buildup of plaque and the effort it takes to remove it. Gum soreness caused by routine professional cleaning usually resolves in one to two days. However, if your gum stay sore longer it is important to contact your dentist for a follow up. 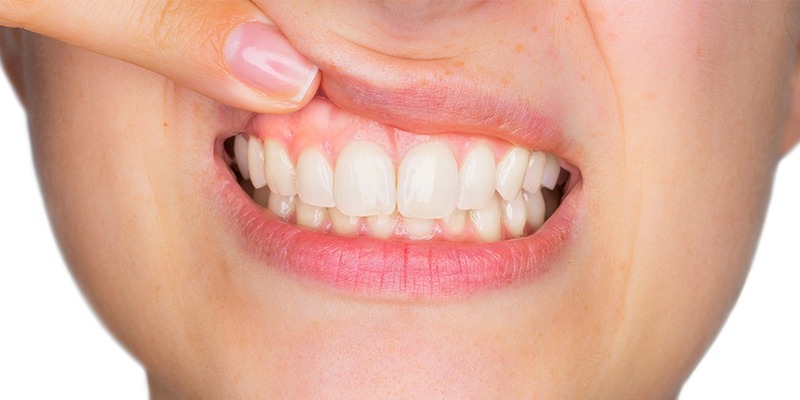 Tartar can be a cause of prolonged gum soreness after a cleaning. It is possible for a small piece of the tartar the hygienist has removed to become lodged below the gum line. This can cause an abscess in the gum. It will cause your gums to be very sore and inflamed. Follow up with your dentist to dislodge the stray tartar and your gums will heal. There are other reasons gums may be sore after cleaning. Early stages of periodontal disease can cause gum soreness. However, this is something your dentist will be able to identify during your appointment. Gum soreness caused by gingivitis can be easy managed and healed with appropriate dental care. Brush your teeth at least twice a day. Regular brushing keeps the gums healthy and also prevents the accumulation of plaque along the gum line. Less plaque means less tartar and less scraping. Floss your teeth at least twice a day. Flossing not only keeps the spaces between your teeth clean but also helps your gums become accustomed to the cleaning. Get regular professional cleanings. Visiting your dentist and hygienist for regular professional cleanings will keep tartar accumulation to a minimum. Find a gentle hygienist. You can do a lot to keep your teeth clean. However, the dental hygienist can also help by being gentle and thorough at every cleaning.